As Reno’s revitalization continues to gain momentum, our city’s rich heritage is emerging as one of its most valuable assets. From digital projects to the renovation and repurposing of key historic properties, the year 2014 was marked by an increasing (and exciting!) realization of how our city’s unique past can be an integral, and irreplaceable, component of its continuing reinvention. 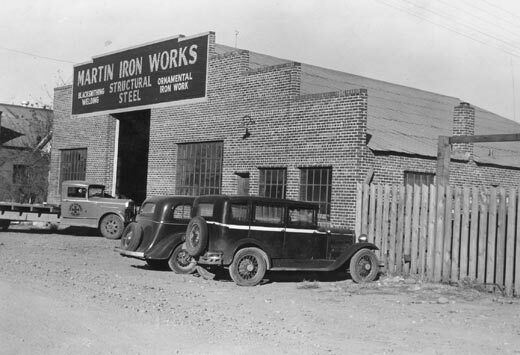 Here are five of the year’s top stories in Reno’s heritage. 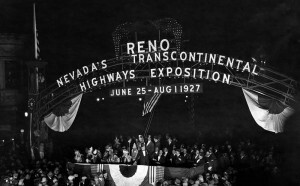 On May 9th, the anniversary of Reno’s original land auction in 1868, the new smart phone app and website Reno Historical launched. 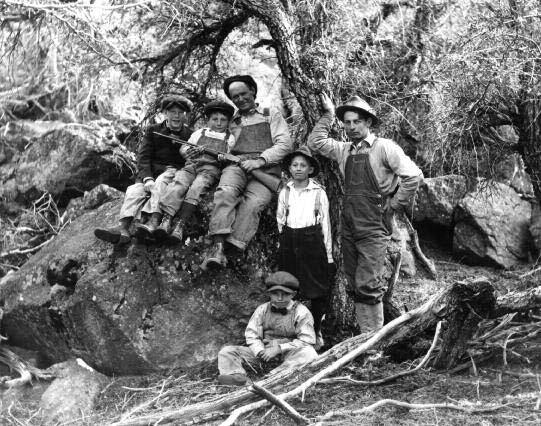 The map-based multimedia platform, a collaborative effort by most of Reno’s history-related organizations, allows users to explore Reno’s heritage through stories, images, audio, and video clips. The project continues to expand, with the regular addition of new locations and multimedia components. Look for the addition of historic sites throughout Midtown and the Wells Avenue district in 2015. 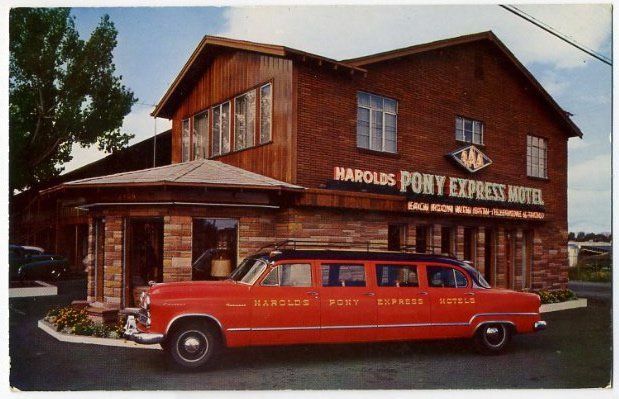 While not housed in a historic building (by most standards, anyway), Mark Estee’s Heritage restaurant, which opened in May, was significant to Reno’s heritage for a number of reasons not limited to the establishment’s name. 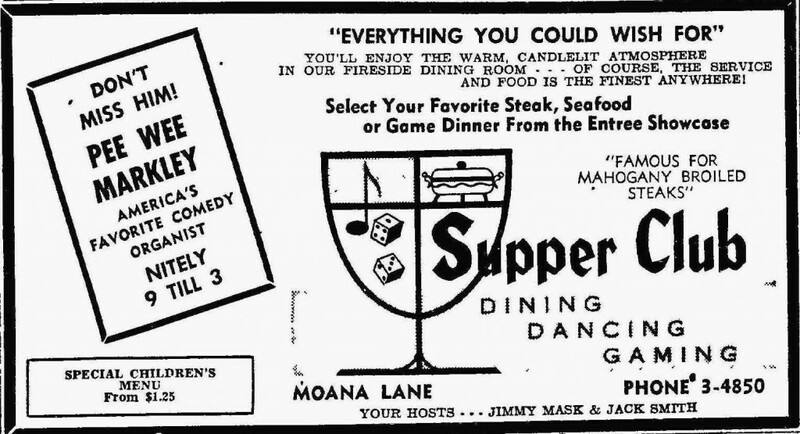 Located in the Whitney Peak Hotel, the old Fitzgerald’s casino building, the restaurant champions the city’s history in everything from the menu’s inspiration to the wait staff’s denim uniforms (a nod to the 1871 invention just a block away of Levi’s riveted jeans). Additionally, the establishment of a non-gaming hotel in the heart of the city’s casino core bodes well for the return of the city center to a more diverse array of businesses and attractions for both tourists and residents. Citing seismic concerns, a press release issued by the University of Nevada, Reno on May 29th indicated that two of the university’s historic dormitories, Lincoln Hall and Manzanita Hall, might be “removed” in whole or part. Immediate public outcry to save the two 19th century buildings, both listed in the National Register of Historic Places, included a student-led petition, an editorial in the Reno Gazette-Journal, and a flurry of activity on the part of local and state preservation groups. Just weeks later, UNR President Marc Johnson announced that both Lincoln Hall and Manzanita Hall would be preserved. Bids to design the initial plan to convert Lincoln Hall into office space are due January 15. Reno’s historic downtown post office closed its doors in December of 2012 after 78 years of operation. 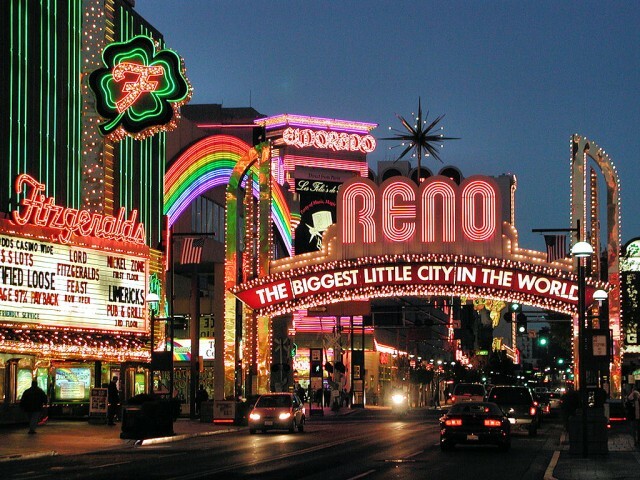 Designed by Nevada’s pre-eminent architect, Frederic DeLongchamps, the Art Deco/Art Moderne building was purchased by the Reno Redevelopment Agency and sold to a local development group. 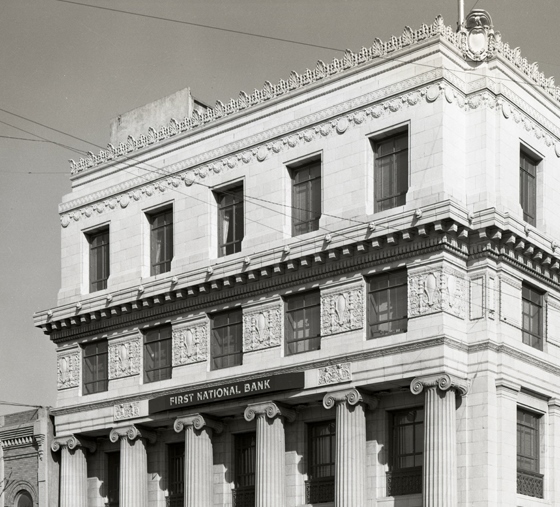 Led by local resident Bernie Carter, the building’s new owners worked closely with Nevada’s State Historic Preservation Office and the City of Reno’s Historical Resources Commission to ensure that its renovation would retain the structure’s historical integrity. Renamed Fifty South Virginia, its historic address, the beautifully restored building’s office spaces are now open for lease. Vacant for more than a decade, the Nevada-California-Oregon Railroad Depot on historic East 4th Street was long the subject of hand-wringing by locals who feared the building would be lost to deterioration or demolition. Another Frederic DeLongchamps design, the historic 1910 depot was purchased in 2013 by a long-time Nevada family. Following an extensive renovation, it reopened on New Year’s Eve, 2014, as a combined brewery/distillery/restaurant, named the Depot Craft Brewery and Distillery. The property promises to play a key role in the reactivation of East 4th Street, recently named the Old Brewery District by the Regional Alliance for Downtown. 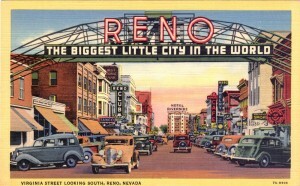 Stay tuned for my list of five issues in Historic Reno to look for in 2015! 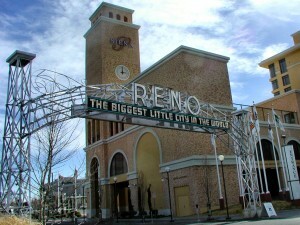 Why do I care about Reno’s history? If you read through my blog, the answer is pretty clear. Researching and interpreting Reno’s history for the public has become central to my professional life, and something of a personal crusade. You can read more about how all of that started here and elsewhere on this site, and I hope you do! 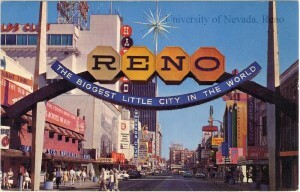 But why should you care about Reno’s history? I addressed that question recently in a talk for Ignite Reno, held at Cargo in the Whitney Peak Hotel in downtown Reno on November 20th. 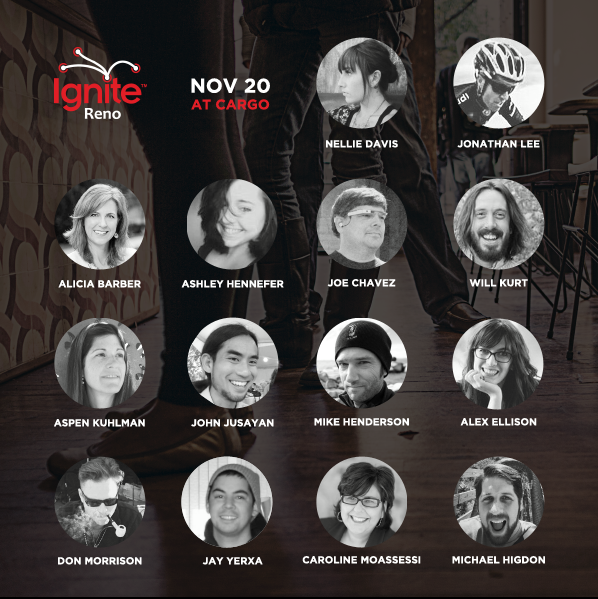 If you’re not familiar with the format, Ignite presenters are given five minutes to speak on a subject of their choice–something that really fires them up–backed by 20 slides that automatically advance every 15 seconds. On this night, fourteen of us spoke on topics ranging from digital publishing to how lessons from cycling can make us a better community. 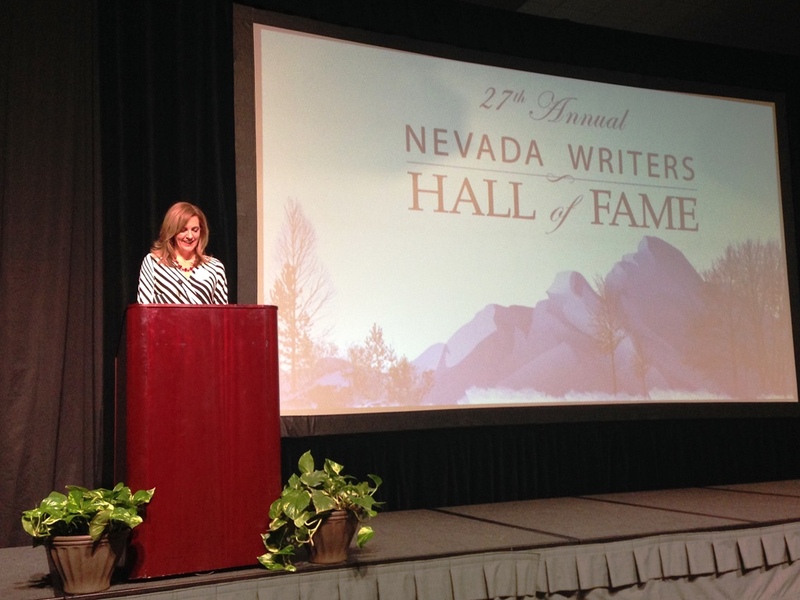 I geared my talk toward the local Reno audience, but my general points can apply to any location. History is every place’s most unique asset, and caring about it, promoting it, and preserving it, can help us make our places more walkable, more meaningful, and more community-oriented. 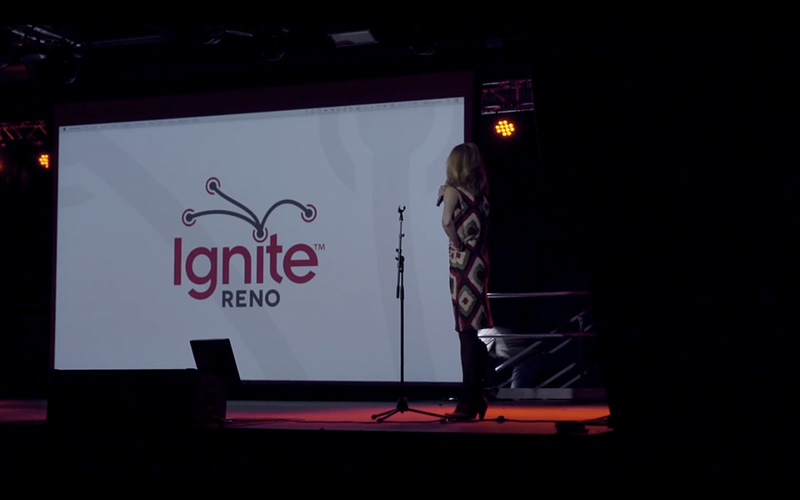 You can watch the 5-minute video here and the full powerpoint presentation here: Ignite Reno Powerpoint. I hope you enjoy, and perhaps feel a little more inspired to care about the history in your community, wherever that may be. 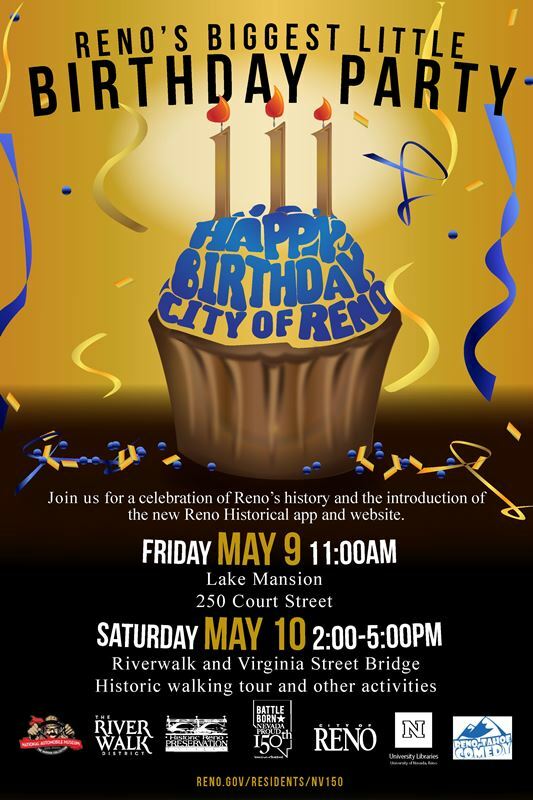 It’s finally here–the launch of Reno Historical, appropriately enough, on Reno’s birthday, May 9th. 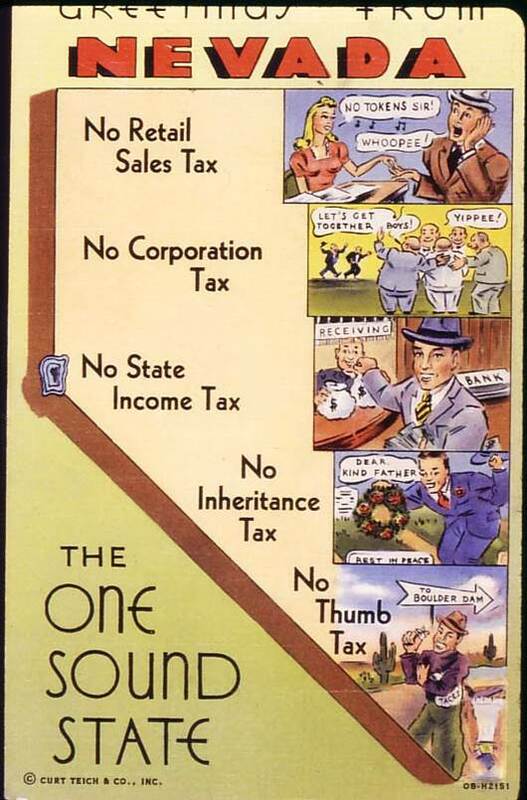 Friday’s event will feature assorted dignitaries, birthday cake, an appearance by Reno founder Myron Lake (or a reasonable facsimile thereof), and more. 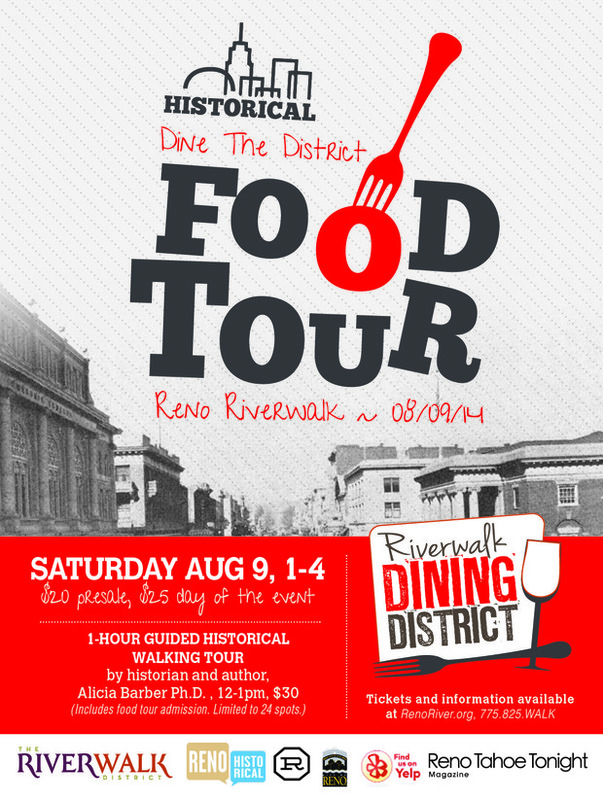 Saturday’s event will feature a variety of historically-based activities along the downtown river corridor from 2-5 p.m. We’ll continue to add material to Reno Historical in the months and years ahead, but we’re off to a great start and can’t wait for everyone to check it out!